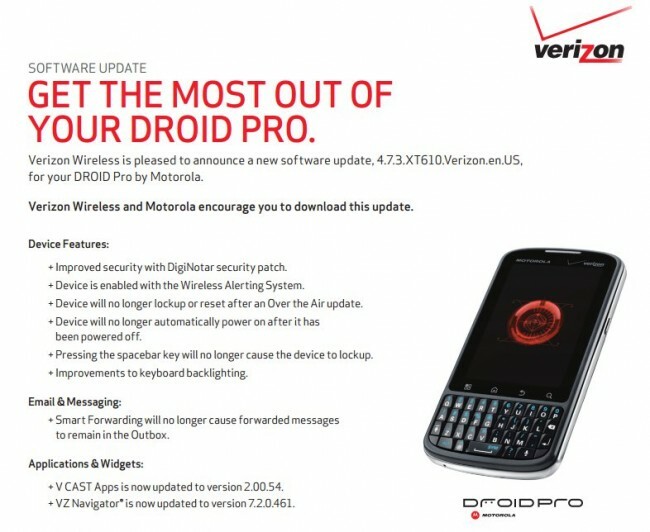 The Droid Pro is now receiving its official update to build 4.7.3. It may not be Ice Cream Sandwich, but at least it’s something. You will notice better backlighting for your keyboard, the addition of updated VCAST apps and VZ Navigator apps, plus a handful of other helpful bug fixes. Go grab it and let us know if you notice any other mentionable fixes.